Irritable Bowels Syndrome (IBS) is one of the most commonly diagnosed conditions in the U.S. It’s estimated that one out of every five people have it. An IBS diagnosis occurs when a patient has a set of typical symptoms and when medical testing has excluded a more serious problem. Typical IBS symptoms include gas, bloating, abdominal pain/cramping and either diarrhea or constipation or both. There can be other associated symptoms like heartburn, fatigue and depression. While these symptoms are not life threatening they can be quite debilitating and demoralizing for the people that have it. Most Western doctors don’t offer any promising treatments to heal or relieve IBS symptoms. Most medications don’t work. And because some doctors say IBS is incurable many patients are too discouraged to try to heal it themselves. People tend to suffer for decades when they actually have the power to heal themselves. 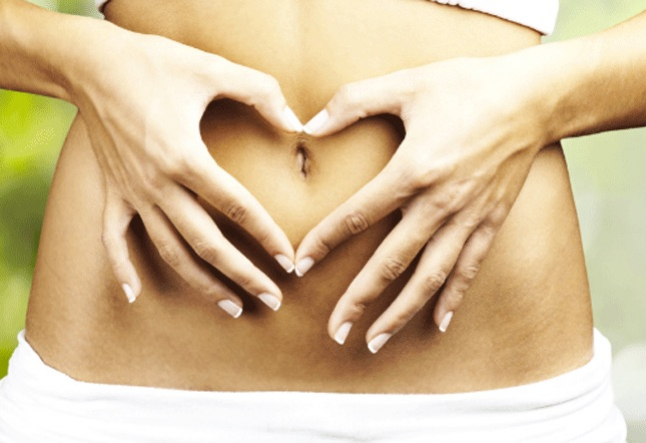 IBS can be cured or alleviated through making dietary or lifestyle changes. But often this alternative approach to healing requires life and food changes which can seem overwhelming to some people. Adding to the overwhelm are all the conflicting alternative opinions on what works best to treat digestive imbalance. Western doctors say that IBS is a problem with the bowels, but there is no ONE cause for IBS. In fact there can be many different reasons for the body to get out of balance and cause digestive problems. Some common examples are food allergies/leaky gut, a toxic liver/body toxicity, bacterial overgrowth, nutrient deficiency, aggravating foods, stress and lack of rest. While IBS is a physical problem it can also be exacerbated by emotion. The trick is not to figure out THE solution, it's to figure out YOUR solution. My issue was my liver. It was extremely toxic and compromised by my pharmaceutical use, poor diet and lifestyle (constant activity, anxiety and anger). A slow, toxic and overwhelmed liver can cause the same symptoms common to IBS. While few Western doctors discuss liver imbalance, it's a central topic in Chinese medicine. Problems with the liver can affect every other system in the body because it is such an important and regulating organ. Liver imbalance is too subtle to show up on a liver test. If it does show up it means the liver is in such bad shape that healing becomes much more complicated. But you can heal and cleanse it before it gets really bad. The problem with a slow and toxic liver is that it can't be fixed with medications. In fact, processing pharmaceuticals is very tough on the liver, exhausting it more. Healing the liver can also solve health issues that seem unrelated to digestion. Don't be surprised if your allergies, weight problems, headaches or skin issues resolve when you heal your gut. Gently cleansing the liver helps regain a state of health in many cases. When you start learning how to eat right and care for your liver, you can see major improvement in your overall wellbeing with brighter skin, a stronger metabolism, a rockstar immunity system, a higher level of energy and a greater mood. There are many digestive cleanses, and it is important to do your research before entering any major cleanse. I've created a gentle, "won't leave you hungry" detox program, which does not require time off from work. You don't need expensive medications or special equipment, it's just a matter of cleaning house. If your liver is a dirty sponge that hasn't been wrung, how can it do its primary job of cleaning your blood?